Google is not wasting time, for less than 24 hours after it announced a plethora of additions to its Android ecosystem, including Android TV, it is already making available the first batch of related apps available. 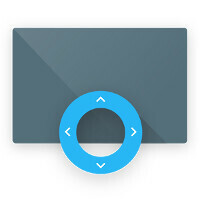 First of those is the Android TV Remote Control app, which, like the name suggests, allows you to remotely control your Android TV-based... TV. Yep, those are nowhere to be found just yet, so the app is currently targeted at developers who are interested in digging into the Android TV SDK and tinkering new apps for the upcoming platform. Secondly, and in the much the same Android-TV-vein, the Google Cast Receiver app is now also available. From what we gather, the vague description seems to indicate that Cast Receiver will allow you to basically mirror your Android smartphone's or tablet's display onto the bigger screen, much alike how the Chromecast dongle works. Lastly, Cardboard -- Google's ingenious approach to inexpensive VR. On this Google page, you can get directions on how to create your own Cardboard and begin immersing yourself in virtual reality in less than an hour. What the app does is simply provide you with a few demos and primers on what can be achieved with just some light tinkering. We're unaware if Google has any major plans of Cardboard, though we'd file that one under the 'unlikely' dossier. Well the closest from them is the chromecast. Now that it has mirroring, you can run apps or games that were not even Chromecast apps. They will have boxes like the Apple TV. I know Razer announced they were making one yesterday. It is Both, Sony,Sharp, TP Vision and Philips will be making actual Android TV's so they are Smart TV's that run the Android OS. If you do not want a new TV then you have the option of the streaming box which Asus and Razer make and it will turn any TV into an Android TV. If its a Tegra K1 and priced less than ps4. They actually do have a shot in making it big. Hope there more AAA graphics intensive game title coming out for Android. Dead trigger and shadowgun being good examples. Yes as far as we know it is going to be implemented on Smart TV with certain manufacturers and some digital boxes but none have been announced so far. There is a possibility they will release the box on its own for existing tvs, but for now they are focusing on chromecast for that!